Bringing Bike Share to the KW Community! As long as I can remember, my favorite method of transportation to school and around the neighborhood was my bike. Biking is more than a hobby to me, it’s a way for me to stay fit, relieve any stress I may be feeling and spend quality time with my friends and family. My family members all enjoy biking and it’s a great way to spend time with each other and we always set aside times to go biking together no matter how busy are lives may get. Now, as I attend Wilfrid Laurier University, I count down the days to when the warm weather will allow me to go cycling again. 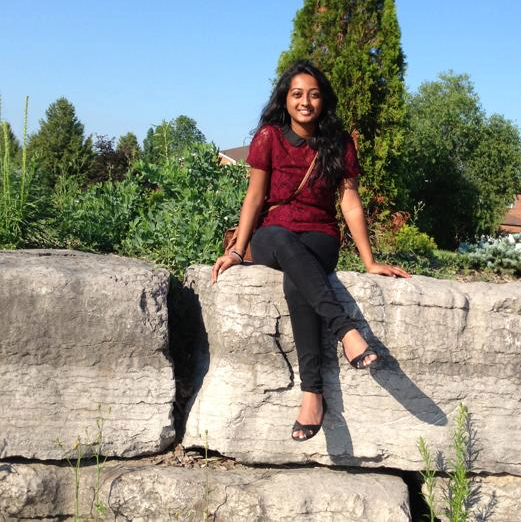 My name is Mithushaa Berinpalingam and I joined Grand River Public Share as a volunteer Accounting Technician to not just gain further experience in accounting, but to support an initiative, which I strongly believe in and want to help promote. The launch of this program will be a great way to make Waterloo greener and healthier. Cycling is a fun way to gain excellent health benefits, and be more environmentally friendly while enjoying what you’re doing. I can give you numerous reasons to why you should bike, but it’s better if you get started and see the results in action for yourselves!